The festival itself was wonderful with so many like-minded people gathered together and the demos went off well. I did Watermelon Three Ways and Red Chili Tofu Taco Salad. You can watch the full watermelon demo in the video below. I love doing chef demos. 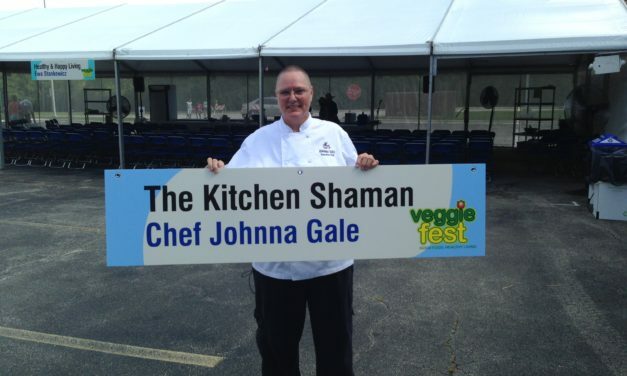 It gives me a chance to cook a few recipes, share lots of food facts & cooking tips, and show off my chopping skills. (How fast can YOU chop cabbage?) 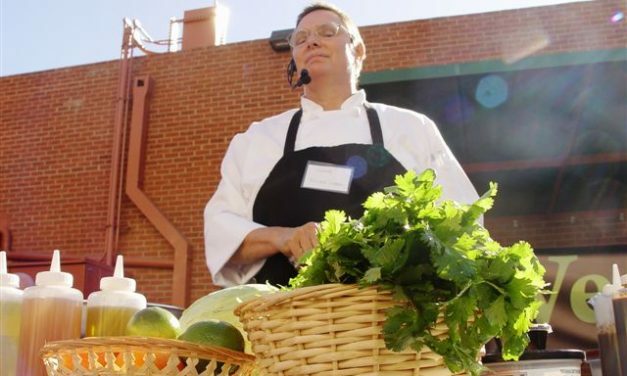 A few years ago I was invited to participate in "Party in the Parking Lot," an event to help raise interest for VegCo, an all vegan grocery store in Phoenix, Arizona. As with any live event I had fun, but also had challenges -- like almost catching myself on fire. I made Portabello Fajitas with Ancho Chili Sauce, and Summer Citrus Coleslaw. 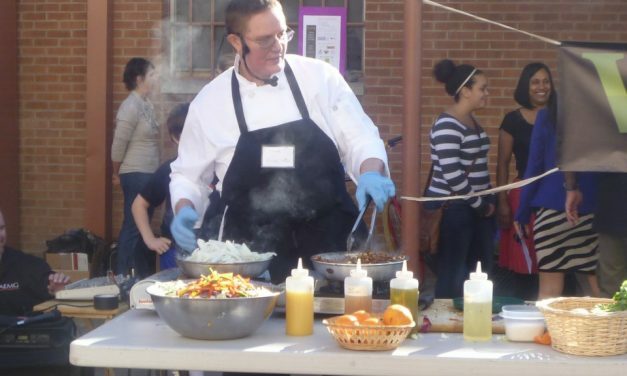 This is my chef demo at the First Annual Arizona Vegetarian Food Festival. 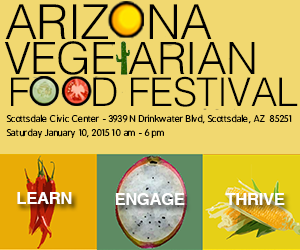 Next weekend you can find me cooking “Breakfast in the Afternoon” at the first annual Arizona Vegetarian Food Festival. Cooking in front of crowds is a favorite thing of mine. Although I don’t favor open kitchens (where cooks have to produce constantly while patrons look on), I do like to put on a good cooking demo. The Food Demo from last weekend was so much fun. I learned more than I thought I would, and had some challenges at the site. But I overcame the obstacles pretty quickly to be able to both entertain and inform the audience. I demonstrated how to make Portabello Steak Fajitas and Citrus Coleslaw. I ran out of mushroom fajitas before I did people, but I still had coleslaw and chili sauce left.